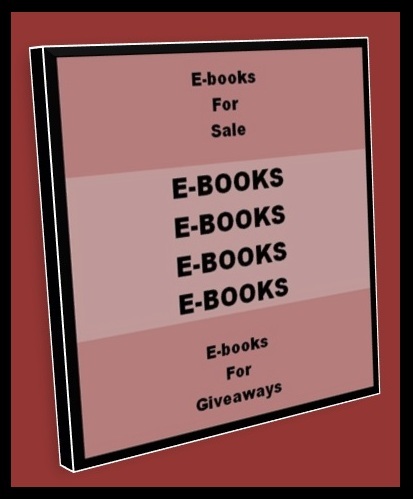 This is an oldie, but goodie, as ebooks are one of the most popular 'ethical bribes' there is. 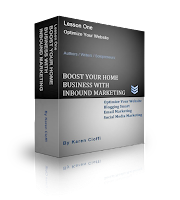 Just about everyone is using an ebook to entice visitors to subscribe to their mailing list. And, they're a quick and easy information product you can sell. So, here it is again, originally from 2011. Ebooks are an amazing product that has multiple uses. And, it can be created for FREE, or for a very minimal amount. What else can you create that costs only your time and effort, and sells for whatever the market is willing to pay? There aren’t many products that fall under that category. 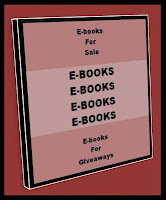 And, along with the ‘right price,’ ebooks are easy to produce. The first step is to create your content; this can be done as a simple word document. The content can be anything you think your readers or target market will want or need. In addition, it can be any length you decide upon. You can create a simple 10 page ebook, or a 100+ page ebook. The choice is yours, as long as it will provide your reader or target market with an informative product that they’ll find of value. You can also create a compilation of articles you’ve already written on a particular topic and organize them into an easy to read product that includes a content page. Note: It’s wise to include a disclaimer explaining that you, the author, strived for accuracy, but cannot guarantee it due to the ever-changing nature of the internet. And, it’s advisable to include an “All Rights Reserved” with a copyright reference. Another option, if you’re creating the ebook as a freebie on your site, is to allow it to be offered by others on their sites, emphasizing that all information must remain intact, including all links. This will help increase your visibility and lead readers back to your site/s. Titles are crucial to anything you write, including an ebook. Take the time to research just the right keywords that will allow people searching for your topic to find you, and allow the search engines to pick up and index your ebook. Whether your product is a few pages or 100 pages, having it organized is important. The ebook needs to offer easy reading and clarity, along with value. If you are creating a longer product, divide the content or articles into sections or parts, and provide a Content Page. Be sure to use a large and bold font for section headings and it’s advisable to include page breaks for each section. Remember, you want to provide valuable information, including resources if possible, that will prompt the reader to view you as an expert in your field/genre. This will help motivate the reader to click on the links you provide, leading back to your site/s, products/services, or affiliate products. Finally, be sure to add a brief bio, including your sites, books published, services, products, and links, on an About the Author page. One last note about organizing your content – have plenty of white space. If you notice, this article has very short paragraphs, making it easy to read. Once you have the content in place, add images. You can add an image at the beginning of each section, or where ever you see fit. This is another trick to make the ebook more interesting to read. Using your word program’s clipart function is a free way to get images. Microsoft has clipart in the toolbar: Insert: Pictures: Clipart. You can also input free images from other sources. Again, the choice is yours. The images will help break up the monotony of straight content. Another technique for this purpose is to use different color font for headings and subheading, or for “tips,” or other special information. Changing the font itself is another tool to make specific content stand out. You will also want to include your own head shot on your About the Author page. Readers connect more with a face, rather than just a name. Okay, you’ve created a great word document, now it’s time to magically turn it into an ebook. There are a number of free PDF creator software applications to do this. For those wondering, PDF is an acronym for Portable Document Format. A PDF creator is an application that converts documents into PDFs by creating a virtual printer that prints to PDF files. If you don’t already have a PDF converter, it’s time to do an online search for “free pdf creator.” Just be sure the one you choose is Adobe compatible. Install the software you chose, and you’re ready to go. To use a PDF converter, choose Print while in the open Word document that you intend to turn into a PDF. In the Printer box, choose the PDF converter instead of your printer, and print. Want to create an effective money-making ebook in 7 days? 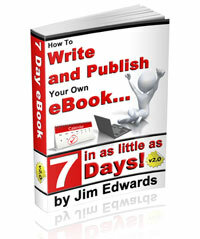 If you said yes, then you’ll want to check out How to Write Your Own Ebook in 7 Days by Jim Edwards. He's a pro at ebooks! Marketing- Which is More Important, the Sales Copy of the Product? A Blog or Social Media – Which is More Influential? Technorati published its 2013 Digital Influence Report and according to Social Media Examiner, the findings are pretty interesting. The report revealed consumers favor blogs over social media networks for “trust, popularity, and even influence.” The ‘influence’ aspect pertains to buying influence. Blogs outranked even Facebook in this area. While the results pertained to businesses and brands, this is something you should take note of. Having a blog and posting content on a regular basis is how you develop a relationship with your visitors/readers. Blogs create a personal connection, kind of like visiting someone’s home. Social media offers a connection, but kind of like meeting at a diner for coffee or other non-personal setting. If you want to influence people, whether shaping opinions or influencing buying decisions, or selling what you have to offer, you need a website – you need a blog. If you don't have a website up yet, get started today! If you’re a writer-author, what’s the first thing you need to think of before submitting your manuscript? In Chuck Sambuchino’s book, “Create Your Writer Platform,” he notes that the writer’s platform (its visibility, connections, and reach) is a key factor when looking for a publisher or agent. The book lists five elements or categories of an online platform and gives the numbers that will make the recipients of your manuscript take notice. In fact, the higher the numbers, the better your chances of a contract and the higher your advance may be. In a prior article the first two categories, Blog Page Views and Twitter Followers, were covered. This article moves on to the next three: Newsletter Subscribers, Public Speaking Appearances, and Sales of Self-Published Books. The numbers are broken down into three categories: notable, every notable, and impressive. Have a seat and hold on tight – these numbers are not for the faint-of-heart. This category has the same 'notable' number as Twitter followers, 5,000. If you’ve been doing email marketing, sending out newsletters on a regular basis, you’ll know getting 5,000 subscribers is somewhat of a feat and can take quite a bit of time. 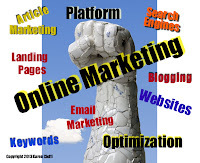 Garnering subscribers takes effective online marketing strategies that are done regularly. One of those strategies is to have an effective ‘ethical bribe’ that will entice the visitor/reader enough to be willing to give up her email address. To reach the ‘very notable’ category, you’ll need 20,000 subscribers. The “impressive” number for subscribers is 100,000. You’d better roll-up-your-sleeves and get to work on this one. This category assumes new authors are involved in public speaking. The reality is that not all authors, new or seasoned, are involved in this marketing strategy. This is not to say they shouldn’t be, but it’s not everyone’s cup-of-tea and not everyone is capable of doing it. The numbers for this category: ‘notable’ is “speaking to 1,000 people (total) a year;” for ‘very notable’ it’s 3,000; and impressive is 15,000.
Notable: 4,000+ for nonfiction and 2,000+ for fiction. Impressive: 30,000+ for nonfiction and 15,000 for fiction. Writers are no longer simply writers. Writers are now a business with a marketing plan and hopefully a marketing budget. Authors now need to allocate a significant amount of time toward marketing themselves and their products. And, this should be started well before you’re at the point of querying and submissions. According to most agents and publishers, authors looking to submit should have an online platform in place, one with at least ‘notable’ numbers. 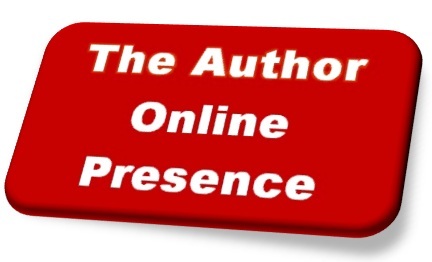 Your author online platform should be taken seriously. Learn the steps needed to build your reach, authority, and numbers. WANT TO GET YOUR ONLINE PLATFORM MOVING IN THE RIGHT DIRECTION? It's a 4-week in-depth and interactive e-class through WOW! Women on Writing and covers all the tools you’ll need to build visibility and traffic, and boost sales. CLICK HERE to check out all it includes! If you don't know where you are, you'll have a hard time finding directions to get you where you want to go. 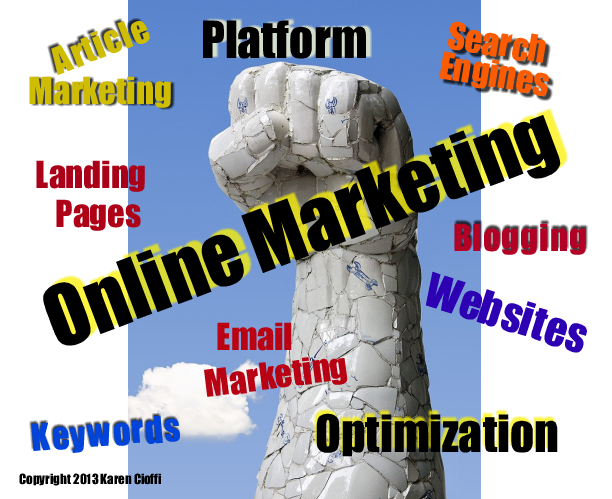 Online marketing and social networking go hand-in-hand. Content shareability and visitor engagement is what counts with search engines. According to Chuck Sambuchino, in his book “Create Your Writer Platform,” an author’s platform and its ‘reach’ is an important factor when seeking an agent or publisher. Take note that this is not after a book is published; it’s when the author is looking for a contract. Sambuchino advised that “the size of your desired book deal” is a factor in the size of your author online network realm. So, if you’re seeking a big-time New York agent or publisher, with a hefty advance, you’ll need to have a hefty social network in place and substantial traffic to your website. There were five categories mentioned in the book: blog page views; twitter followers; newsletter subscribers; public speaking appearances/audience; and sales of self-published books. If you’re a new author just joining the writing and publishing ranks, you may be taken aback at the thought of the book marketing strategies that need to be in place before you even have a contract. Well, welcome to the author’s world. This article will cover the first two categories. Under this category keep in mind that your social networks, including the groups you belong to, play a factor in the numbers. You need to ‘share’ your posts to help bring traffic. Sambuchino suggests that 20,000 views a month is a notable amount. This is the lowest amount mentioned. Twenty thousand views a month. For most authors this is a significant amount. If you’re a writer and you’ve been utilizing online marketing to create and build your author platform and presence you know how difficult it is to garner 20,000 blog views a month. It takes a lot of marketing strategies, time, and effort. So, if you’re at the 20,000 mark, congratulations. Next is ‘very notable.’ This number is 100,000. If you’re at the 500,000 mark, which is considered “impressive,” WOW. You can go for any agent or publisher you like. Next up is Twitter and 5,000 followers are considered notable. For Twitter, this isn’t difficult to do . . . if you don’t care about who you’re connected with. But, if you want followers who have certain criteria, then reaching 5,000 will take a bit of work. Let me explain what I mean about some people having a certain criteria. If you have followers who curse or use vulgar language and you’re a children’s writer/author, you should to be choosy as to who is associated with your Twitter account. Or, you may be a Christian writer, the same would apply. How about if you’re a writer and marketer, would it be effective or beneficial to your other followers to connect with a winery, a real estate service, a sports enthusiast? Another scenario that happens is the individual who wants to connect, but has tweets in a foreign language. In this case you have no idea what’s being said. Would it be wise to connect? One other questionable element of getting ‘followers’ is the use of ‘unethical’ services that will get you 25,000 or 50,000 followers for a fee. Would this be a good thing to do just to have the numbers? Do you think you’d have any control over who will be included in the thousands of followers? Getting the numbers isn’t that difficult, unless you have criteria in place to keep your connections G rated and focused. Very notable in this category is 15,000 – impressive is 50,000. It’s pretty simple – numbers matter. While you shouldn’t be losing sleep over it, you should be working toward building a 'notable' online platform, at the very least. Landing pages have specific purposes. One might be a sales page and another might be your email opt-in page. Whichever it is, a landing page is a specific page that is intended for a specific purpose and draws targeted traffic. The traffic is drawn to this page to take a particular action . . . to say YES to your offer or opt-in. One of the most essential landing pages’ is your subscriber or email opt-in page, and it should be designed specifically to garner email addresses. The reason a separate opt-in page is crucial, as with any landing page, is to eliminate distraction. While it’s a good idea to have a subscriber opt-in box on your website’s sidebar for stray visitors and those who find your blog through a search for a particular keyword, you need a separate page to lead your targeted traffic in from your ‘outside’ article marketing endeavors. These ‘outside’ strategies include, submitting to article directories, guest posts, and participation in joint ventures. They are the strategies that need a resource box, bio, or tagline that will direct readers to a page designed to let the reader know why she should give you her valuable email address. It’s on this email opt-in page that you can fully explain the benefits the reader will get if he opts in: relevant information, tips, tools, reviews, news, etc. You also have the space to list the title and description of the ebook you’re offering as an ethical bribe. Or maybe the free ethical bribe is a one-on-one free consultation, or an instructional webinar. This opt-in landing page allows you to fully answer the reader’s WIIFM (what’s in it for me) question. In addition to the WIIFM information, you can include what you’re qualifications are for offering this particular information, for claiming to be an authority in this niche. 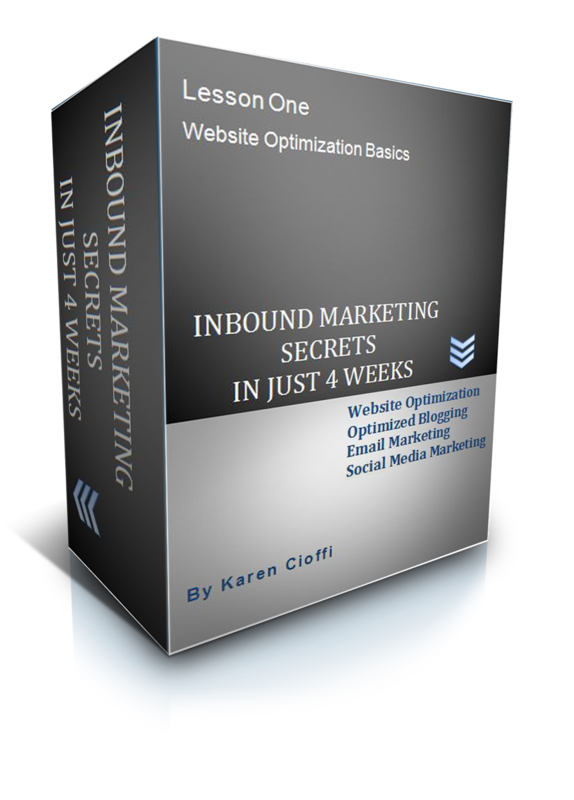 Due to its focus and lack of distractions, your email opt-in landing page allows for a higher conversion rate. This means a higher percentage of visitors will follow your directions and say YES to the action you’re asking them to take. Just remember that simple always works better in regard to websites and landing pages. You don’t want to make it feel or look busy, or give confusing or complicated steps for the visitor to take action. While it’s in a writer’s nature to usually write more than is necessary and an individual’s nature to make things more complicated than necessary, follow Google’s lead and keep it simple. Keep your email opt-in page to the essentials, and learn how to write effective copy for it. If you're not already a subscriber, PLEASE sign up NOW! It's an interactive, in-depth, and priced right e-class. Online Membership Sites – Should You Join One? 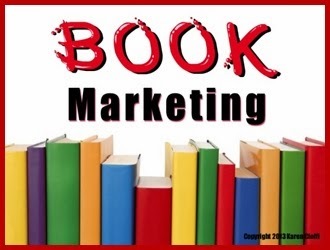 Whether you're an author or marketer with a book, you need to know effective book marketing strategies. Yes, there are a lot of requirements that need to be met in order to be successful in this ever expanding and competitive internet arena. One of the basic strategies used to get noticed is writing or providing content – this is considered article marketing. I’m sure you’ve read or heard a hundred times that “content is king.” It is absolutely true. Imagine being a spec in the sky . . . so tiny and far away that you are invisible to the human eye. Well, that’s you in the internet universe. So, how do you get a flickering light going and build it into a steady strong beam? The only way to get on the internet radar is to create valuable content, provide it regularly, and make sure it is keyword effective. As I mentioned, content is essential, without it you don’t have a chance. But, even with it, you need to fine tune your ‘must read information’ with a keyword search tool. Don’t fret though. Finding and using keywords is not difficult to do; the search tools make it easy. Most of it is really common sense, using words you would use to search for your topic. But, a keyword tool affords a much larger pond to fish from and is search engine specific. For this article I plugged in the word “keywords” at freekeywords.wordtraker.com (it was a free tool). The number one phrase for this keyword is “keyword research,” number two is “keyword analysis,” and number three is “keyword.” I really didn’t have to do a search to realize the word “keyword” would be there, I didn’t know, however, that “research” would be part of the number one phrase. Knowing the number one keyword phrase provides valuable information; this also means it is a highly competitive keyword. To make your keyword rich content even more effective look for what’s called long tail keywords. These are words that will move you away from the general querying crowd—and the heavy competition. For example, if your niche is children’s writing your key words would be: writing, children’s writing, and possibly children’s fiction and/or children’s nonfiction. To elaborate on these keywords - to get more specific and narrow your target audience - you might use: writing for kids, children’s fantasy chapter books, picture books, middle grade fiction books, or kids’ nonfiction magazine articles. You get the idea; you need to focus in on your niche. Instead of aiming at the outer rim of a bull’s eye, go dead center, or at least very close. To get started for free, check out Google search and Amazon to see what keywords come up first for the topic you're searching. They are two of the most powerful search engines.